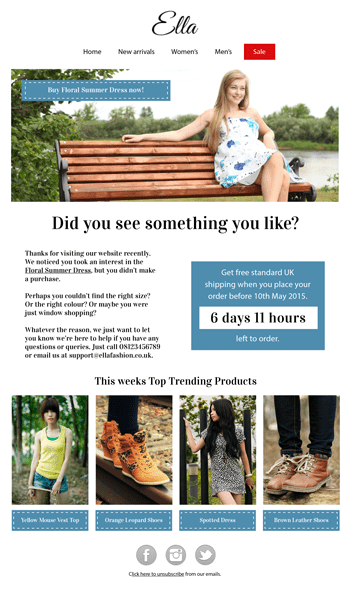 Display Block are email marketing experts. They build, test and send out marketing emails for leading brands. Fresh Relevance works with the Display Block platform to provide a real-time personalized omnichannel dimension that drives conversions. Display Block and Fresh Relevance give your customers a highly engaging experience with unique open time email content. See incredible conversions from 1-2-1 automated emails. Email, social media or the web. Your shoppers expect a personalized experience however they interact with your brand. Fresh Relevance and Display Block give you a true cross-channel personalization platform. Have usable behavioral and transactional data at your fingertips in the Display Block platform without any complex integrations. We are a creative email agency. We cover all aspects of email marketing from design to campaign deployment.